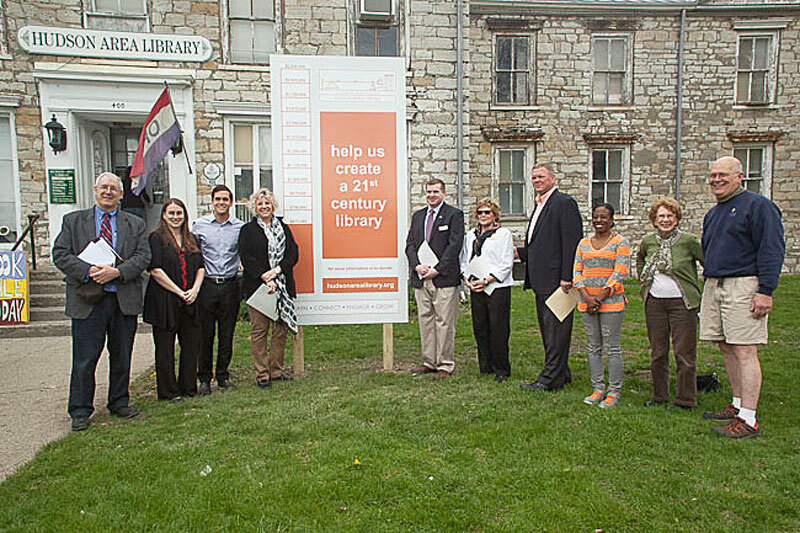 The Library’s fundraising campaign got a strong show of support by City and State representatives at Saturday’s sign raising. Pictured here, from left: Mark Orton – President of the Library Board of Trustees, Emily Chameides, Library Director, Sean Eldridge – NY 19th Congressional District candidate, Didi Barrett – NY State Assemblymember for District 106, Ridge Harris – Representing Congressman Chris Gibson of NY Congressional District 19, Deborah Simonsmeier – representing Senator Kathleen Marchione of NY’s 43rd District, Mayor William Hallenbeck of Hudson, Tiffany Garriga – 2nd Ward Alderman, Ellen Thurston – 3rd Ward Supervisor, Don Moore – President, Common Council. Not shown: John Friedman, 3rd Ward Alderman. A benchmark in the Campaign for the new Hudson Area Library will take place on Saturday, May 3rd at 11 am. There will be a short ceremony to raise a “progress sign” at the site of the current library, 400 State Street. The sign will keep a running tally of funds being raised to defray the costs of the new library’s interior. The public, including residents of Stockport, Greenport, and Hudson, is invited to attend. It is anticipated that local and State officials, as well as prominent members of the business community, will stop by to show their support. “This sign is meant to keep the community updated,” said Board of Trustees President Mark Orton. “We are eager to raise our visibility, and choosing this particular day for the sign-raising will help accomplish that.” The Hudson Children’s Book Festival, which brings more than 4,000 people to the Junior and Senior High Schools (many via the shuttle stop at the library’s Fourth and State Streets location), will take place on the same day. Big, beautiful roses. A bouquet that will make your mom (or wife or partner) smile. Roses that are full, ready to open into huge blossoms. 10 stems – wrapped and beribboned. Pink only. Freshly cut blooms, 16” tall. Elegant. Special. Buy one bouquet or buy several. We will reserve them for you to pick up on Saturday, May 10th between 11 am and 4 pm at our table in front of the First Presbyterian Church of Hudson, corner of Warren Street & 4th. Preorder between now and Friday May 9th, or just stop by our table on Saturday, May 10th, the day before Mother’s Day. To reserve a bouquet, click the add to cart button below. If you wish to purchase more than one bouquet, you can change the quantity in your cart. If you prefer to pay by cash or check, you can also preorder bouquets in person at the library starting May 1st. A fundraiser for The Campaign for the Hudson Area Library. In 1831, the reviews for pianist and composer Frederic Chopin were pretty good. And there were plenty more where those came from. Chopin had the ability, previously unexplored, to combine the folk music of his native Poland with the classical sounds he admired from Bach, Mozart and Schubert. The results were innovations in style, musical form and harmony – a blending that seemed particularly apt for the blossoming romantic period in Europe. 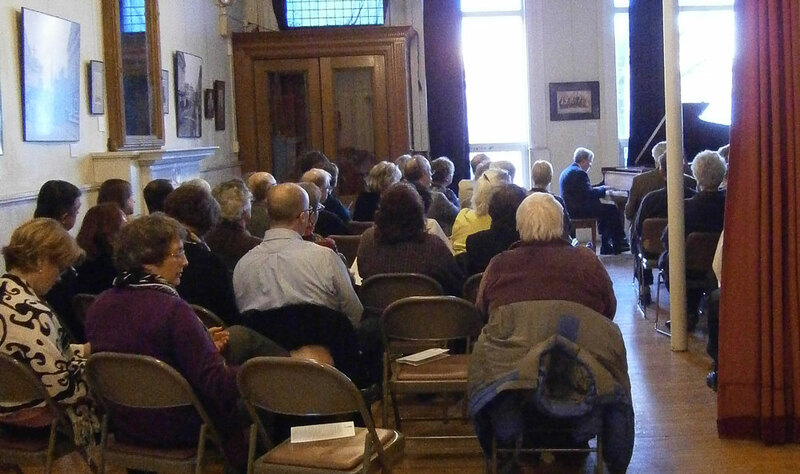 On Saturday, March 22nd, beginning at 6 pm, pianist, instructor and composer Morey Hall will be performing the music of Chopin at the first of a series of fund-raising events on behalf of the Capital Campaign for the Hudson Area Library. So much so, that the teenager headed back stage in search of an autograph. Hall’s third row seat got him to the performer ahead of anyone else. But unfortunately, he’d forgotten to bring anything to write with. “In a stroke of real serendipity,” the pianist explained, “the conductor James Levine was nearby (just beginning his career). He volunteered to help out.” The winner of Moscow’s Tchaikovsky Piano Competition signed Hall’s program and with the stroke of a pen, sealed his career path. The piano concert, being performed at the Hudson Opera House, will include Chopin’s Nocturne in B-flat minor and a group of 4 Etudes, with additional works from Rachmaninoff, Brahms, Debussy and Beethoven. Chopin’s contemporary, Franz Liszt will also be represented. “All the musical pieces were influenced by the Romantic Movement,” says Michael Albin, owner of Hudson Wine Merchants. 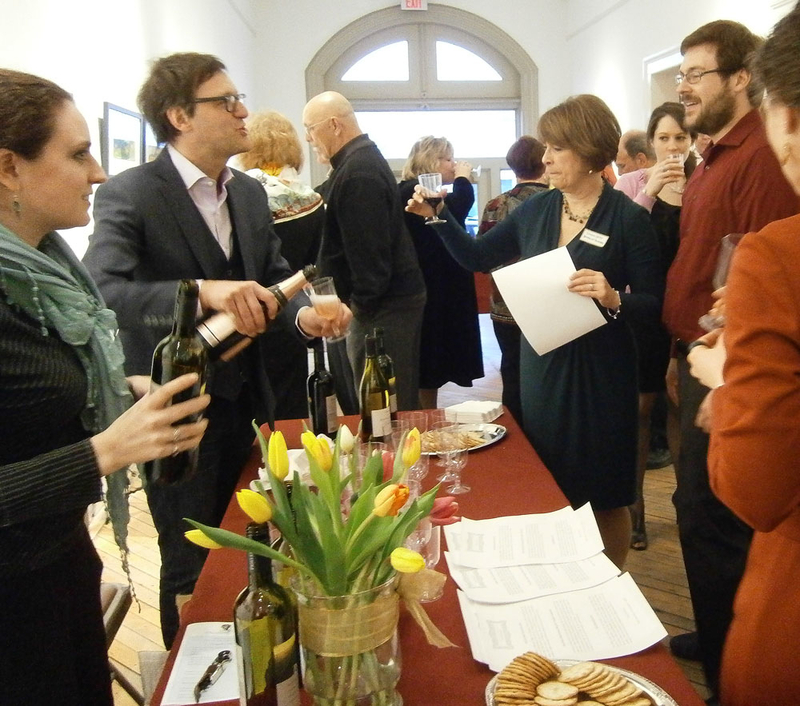 “So the wines we will be pouring and telling concert-goers about will be paired to match.” Four examples of light, sparkling and somewhat ethereal wines will be served during the concert intermission. In keeping with the Library theme, Mr. Hall has selected two books (available at the Hudson Area Library) that should be of interest to concert goers. The first is Chopin’s Funeral by Benita Eisler. This book details the featured composer in exile, his explosive love affair and final days in the arms of George Sand’s daughter. And Beethoven’s Hair – by Russell Martin, a modern day DNA analysis of hair strands collected in 1827 that lead to a conclusion about the cause of the composer’s deafness. The evening is a benefit to help convert the Fifth Street Armory into the new quarters for the Hudson Area Library. With groundbreaking scheduled for this spring, the need for the Library’s Capital Campaign to raise the balance of the 2 million dollars required is sure to become more visible. An overview of the Library’s new quarters as well as donor information can be found at http://armory.hudsonarealibrary.org/. 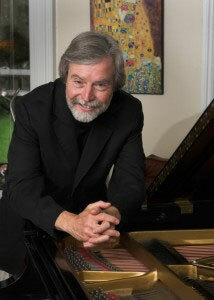 The concert begins at 6pm on the evening of Saturday, March 22nd at the Hudson Opera House, 327 Warren Street, Hudson. Tickets for this fund raiser are $75.00 each. Sponsor tickets include a listing in the event program and are $150.00 each. All donations are tax deductible. Purchases must be made in advance by check or credit card. There will be no sales at the door and seating is limited. Tickets are available by contacting Cayla Consaga at the Library. 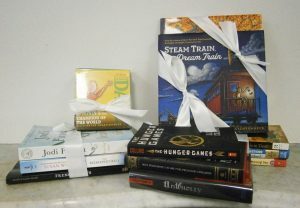 518.828.1792 or e-mail cconsaga@hudsonarealibrary.org. Purchases must be made by Monday, March 17th. The Capital Campaign of the Hudson Area Library is supported in part by gifts and pledges from Hudson River Bank & Trust Foundation, T. Backer Fund, The Alexander and Marjorie Hoover Foundation, Raymond C. Kennedy Foundation, Inc. and many generous individuals and corporate sponsors.